1. Fordham & Grand – Fordham & Grand is a bistro bar located at Craig Road. The bistro is known for its laid back theme. You must try their famous lobster linguini. 2. Buona Terra – If you are in Scotts Road, you should stop by at Buona Terra and grab a meal. 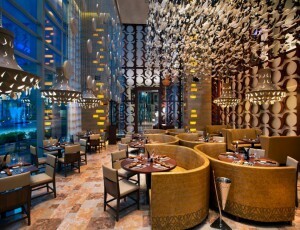 The restaurant offers Italian cuisines featuring the works of chef Lucchi. You must try their meaty oxtail with a delightful wine pairing. 3. Ki-Sho – If you are a fan of sushi, Ki-Sho is definitely a place for you. Chef Hamamoto is proud of his omakase-style dishes. You must try 3 omakase menus; the ingredients are from Japan. 4. Majestic Bay – If you want a casual restaurant, you can go to Majestic Bay and try their famous Kopi Crab. The restaurant is operated by Chef Yong. 5. L ‘Entrecote Express – Due to insistent public demand, the restaurant expanded and set up at Pacific Plaza. You must try their entrees, steak and desserts. Many people say their steak is the best. Why not see it for yourself? If you are a foodie, you will surely enjoy the places mentioned above. Regardless of the price, you should enjoy the food and the experience of course! Have fun and happy eating! Just do not overdo it.